Five minutes of free, random writing on one word prompt. Joining with the FMF Community over at Kate Motaung’s place today. I never get to join the FMF Twitter Party on Thursday nights because it is at 10 p.m. eastern time and by that time I’m in deep REM sleep! But, on Friday mornings I always get on Kate’s website to see what the word for the day is. Today’s word, WELCOME, immediately prompted me to think of three things. Our home. Is it a place of welcome? My friends say yes. I have a good friend who drives out and shares my lunch hour with me at least once a month and she always tells me our home is like a safe haven of peace. I will receive that to mean, she feels welcome here. That makes me happy! Holy Spirit. Is He welcome in my heart? In my life? In my job? In my home? I want His presence more than anything – for Him to be present and engaged and welcomed in every aspect of my life. Worship. O! how I miss moments of true praise and worship. When hearts of people are united and joined together in free and open worship of our God and Savior. Worship where Holy Spirit is welcome to reign and rain down. Where He is welcome to move and stir the hearts of His people. When He is welcome to speak and sing heavenly words and music. To be overcome by your presence Lord! Worship with me, won’t you? what a great reminder that we need to live in a place of welcoming His Spirit to walk with us through our days and live in a place of worship! Thank you for sharing your heart and your words! Rachel, thanks for stopping by. 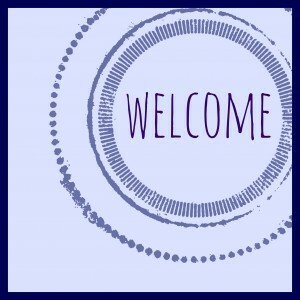 I’m anxious to read everyone else’s take on “Welcome”! Love how the word prompt made you think of three things. Your home sounds like a wonderful place of welcome. Perhaps s good place to sit, chat and drink tea together. Yes I want the Holy Spirit to be welcomed in my heart etc. Tara, yes, please come have a “cuppa” with me – any time at all, sweet lady! What fantastic questions to ask about the welcome, especially at the start of a new year! And such a sweet blessing to hear from your friend how welcoming your home is. Sweet gifts. Becky, questions I need to ask myself every day! That is my greatest desire–that the Holy Spirit always feels welcome and that he helps me make others feel welcome in our home (I’m kind of an introvert, so it’s hard for me). Anita, another introvert! We are everywhere! Debra, that comment is most welcome here!!! 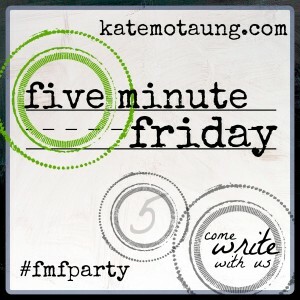 Do try FMF – it is fun and challenging and a group of great bloggers! Lauren, going to listen to your song now. I do like that song so much. I want the Spirit to always be welcome in my heart. Lovely post. Stopped in from #FMFparty. Leah, thank you for the return visit! And, glad you took a moment to worship with me. This is beautiful! I love the direction you took with this word. Your home sounds wonderfully welcoming. I can tell the Holy Spirit lives within you. Such peace here at your blog. Thanks for sharing your heart through your words! Julie, it is definitely HIM!!! I found this post late – but I loved your graphic and your title and was simply drawn to your blog. So glad to have found you! Your words are weaved together well and so powerful. Thank you for sharing what He puts on your heart. Blessings to you. Kelli, so glad you found it! Better late than never, amen?